Collins tallied 12 points (3-8 FG, 1-2 3Pt, 5-6 FT), eight rebounds, one assist and one block across 23 minutes in the Trail Blazers' 132-105 win over the Jazz on Wednesday. With Jusuf Nurkic (knee) sitting out the contest. Collins saw some extra run and took advantage of it. The 2017 first-round pick's scoring tally was his highest since Jan. 9, while his rebounding total equaled his best since that same contest as well. Collins remains only a deep-league option for fantasy purposes due to a second-unit role that usually keeps his minutes in the teens, but he's still markedly more productive thus far this season as compared to his rookie campaign. Factoring in Wednesday's line, the Gonzaga product is averaging 7.1 points and 4.3 rebounds, outpacing his respective 4.4 and 3.3 figures in those categories from last season. 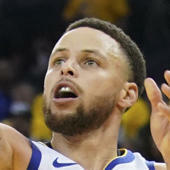 Moreover, his 47.9 percent overall success rate from the field and his 34.9 percent mark from three-point range are both considerably better than the respective 39.8 and 31.0 percent metrics he generated as a first-year player.